In partnership with Poets House and the Salt Lake City Public Libary, we are excited to unveil a permanent new installation along the Bonneville Shoreline Trail in front of the Museum. 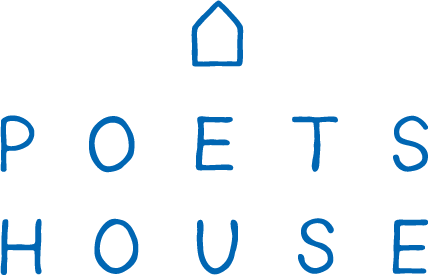 The new Poetry Path will include poetry selected by Poet in Residence, Katharine Coles. Coles will be on the trail at 2:30 p.m. to speak with visitors. 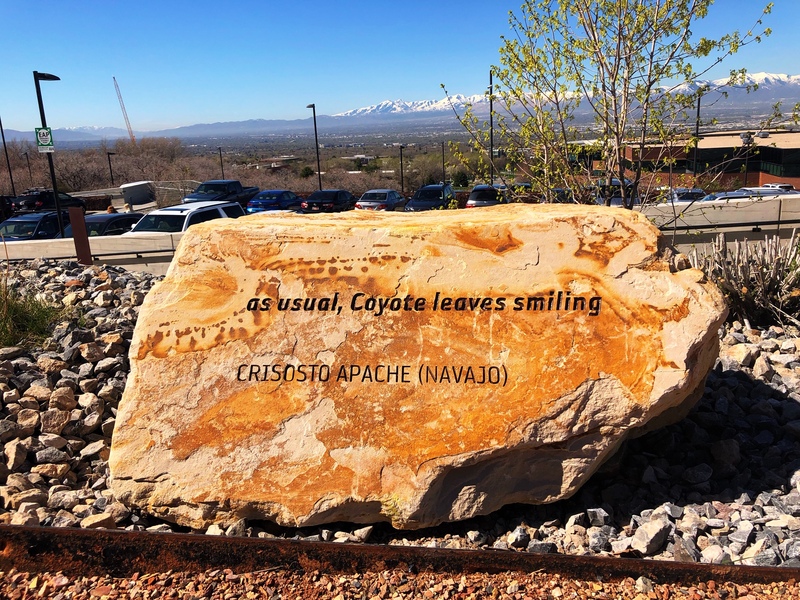 Photo of one of the new stones with poetry excerpt visible stating: "As usual, coyote leaves smiling"
Tell your friends about this opening via the Facebook Event. Field Work: Aligning Poetry & Science is a two-city art and science program aimed at fostering STEM learning through poetry. Under this unique project, Poets House, a 70,000-volume national poetry library in New York City, is working with Salt Lake City Public Library and the Natural History Museum of Utah to engage broad audiences in a range of interactive programs that humanize the language of science through multiple collaborative language arts experiments. The Poetry Path at NHMU is a culminating component and a key deliverable of the grant-funded project. Also on April 27, inside the Museum, we are celebrating Día del Niño. Please plan to join us to celebrate the Day of the Child. Participating partners and activities will include the Las Aguilitas children’s mariachi band, Ballet Folklorico de la Esperanza folk dancers, Spanish poetry and storytelling, a piñata workshop with Artes de Mexico en Utah, piñata cookies, face painting, skeleton dancers, a children's exhibit of Maya art from Arte Primero, Maya weaving demonstrations, and Maya games. More details here.